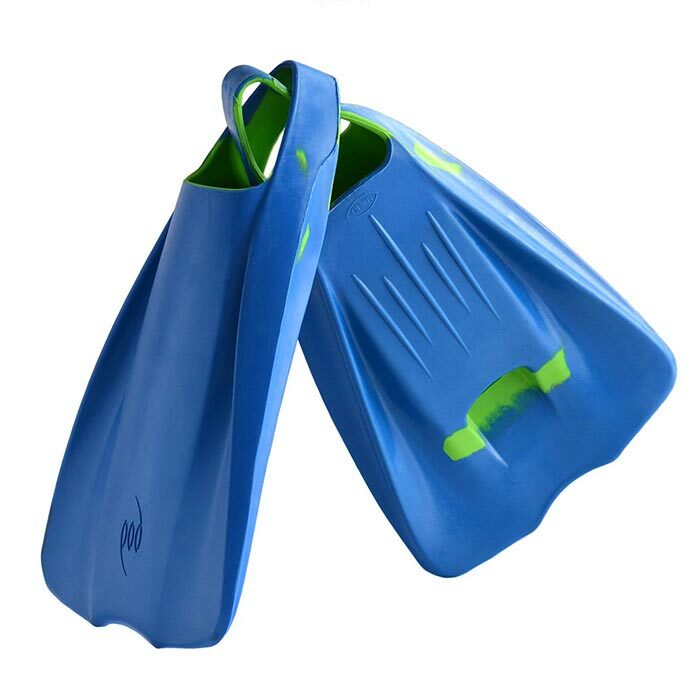 Bodyboard Fins, Bodyboarders Fins, POD Fins, PF1 PF2 PF3. POD has crafted a line of superior bodyboard swim fins that exceed your expectations. Our PF1, PF2 and PF3 Evolution fins cater to every experience level and are built to withstand even the harshest days out on the ocean. We’re proud to bring you a line of bodyboarding flippers that give you power and comfort; the best of both worlds. POD PF-series fins are made from the highest grade of natural, buoyant rubber and built with multiple density layers for a rugged construction that lasts. With their unique, cutting edge design, all of our POD flippers give you the speed and performance you desire, along with maximum comfort that lasts through even the longest riding sessions. When choosing a pair of fins, POD Ware highly recommends that “Comfort” and “Fit” be the number one most important factor. Second should be “Performance”, and the third is “Price”, as we say… If you have Comfort and Performance is worth the price you pay. The fin should fit snugly without squeezing your foot or toes. If it squeezes, you'll get cramps. The opening of the foot pocket and fin strap should be nice and snugly, if either is loose they are more than likely with slip off in the surf. However, it is less than a few millimetres around the foot pocket opening you can wear 3mm neoprene socks, it is snug around the foot pocket but the fin strap is still loose you can where our neoprene heal protects and fin savers the best snug fit and fins safety. All of the POD fins are comfortable and top of the line quality rubber. Make sure you pick the size that corresponds with our sizing foot chart info given. We take returns for exchange minus shipping costs as long as you haven't used them in the surf and you return them within 30 days after you receive them. A fin should provide good thrust. We basically offer "symmetric" a blade that is shaped the same on both sides which provided excellent balance and less load on your feet, ankles and knees. 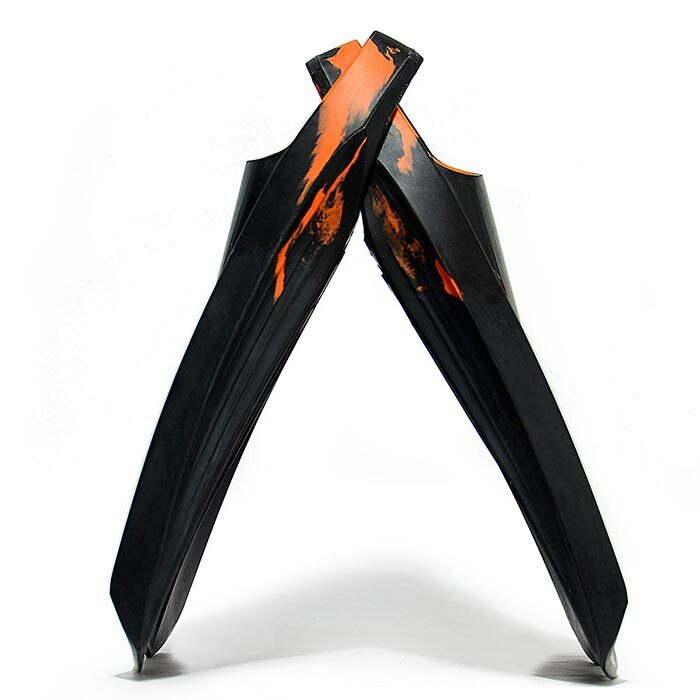 Shorter blades provide quicker starts, but it means you have to give more kicks to get the same distance as a longer fin, however, longer blade fins can also add allot more load to your feet, ankles and knees. Are streamline design for beginner level Bodyboarding and Drop Knee Bodyboarding. The unique Splay Rails® combined with a symmetric blade provide good balance, thrust, speed and control. The drainage design ensures rapid water and sand release from the foot pocket. The pocket itself has been extended for versatile fittings to ensure a comfortable fit. Are an ADVANCED model surfing fins/flippers compared to the PF1s, they are far more robust making them a superior Bodyboarding and or Drop Knee Bodyboarding fins. The precise engineering and streamline Siccut® design, combined with the unique Splay Rails® and symmetric Chisel Blade®, provide excellent balance and a more powerful kick with directed thrust, speed and control, they are lightweight with deep channels and vertical rails that produce greater wave holding stability. The pocket itself has been extended for versatile fittings and the drainage design ensures rapid water and sand release. Tread Rails® that run along the outside of the foot pocket provide extra strength and durability. Asymmetric surfing fins are the finest performance available for Prone Bodyboarding and Drop Knee Bodyboarding. 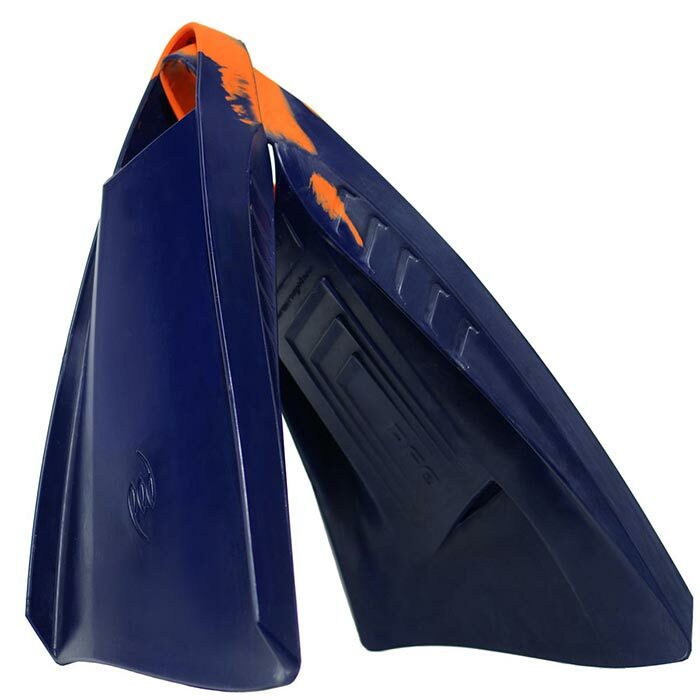 Proven to be the world's first asymmetric fins with a closer balance compare with symmetric fins, this in return reduces the load across the feet, ankles and knees. PF3s have asymmetric foot pocket with foot size to blade length ratio, unique Splay Rails®, deep channels, flexible vertical rails and blade. These attributes provide a powerful kick with directed thrust, balance, speed and control with greater wave hold stability. The foot pocket is extended for versatile fittings and the drainage design guarantees rapid water and sand release.